Obituary for Annie L. (Washington) Curry | Hartzler-Gutermuth-Inman Funeral Home Inc.
Annie L. Curry, 77, of Elkhart went to be with the Lord , Tuesday, November 27, 2018. She was born August, 31, 1941 in Jackson TN, to Rosevelt Washington, Sr and Beatrice (Ross) Washington. Annie worked for D & W, Inc. for many years. 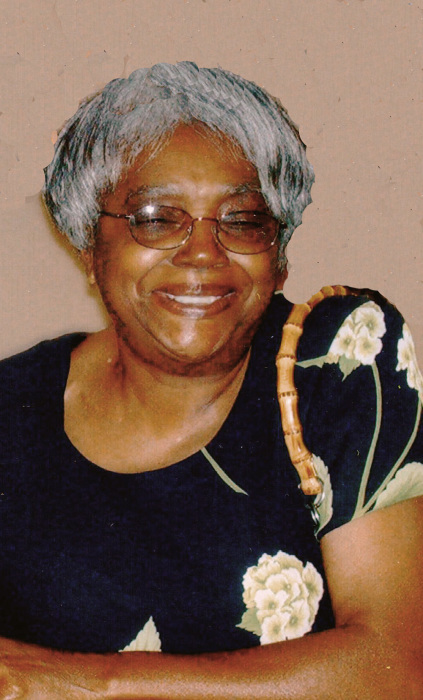 A member of Cannan Baptist Church, she was a strong woman of faith. She loved her family and her Grandchildren were her world. Annie was an avid sports fan, especially Duke Basketball. Left to cherish her memory are Daughters, Angie Curry, and Janet Deal, (George), both of Elkhart, Sons, Eric Curry (Priscilla) of Elkhart, and Kenneth Curry (Jovanda) of Columbus, OH., Grandchildren LaToya Jones, Orlando, FL, Ebonee Curry, Virginia Beach, VA, Ashley Deal, Columbus, OH, Derek Deal, Elkhart, and Eric Curry II, Elkhart, Two brothers and eight sisters. Annie was preceded in death by one sister. Homegoing service will be held at Canaan Baptist Church in Elkhart on Monday, December 10, 2018 at 11:00 AM. Visitation will be one hour prior to the service. Rev. Tyrone Pace will officiate. Burial to follow at Prairie Street Cemetery. Services are entrusted to Hartzler-Gutermuth-Inman Funeral Home. Memorial contribution can be made to Center for Hospice Care, 22579 Old US 20, Elkhart, IN 46516.